The NIU U-Series is now available in Nepal at Rs. 1,85,000. The U-Series is a naked framed scooter inspired from the moped which makes it different from other NIU series like M1 Pro and N1S but it is generally designed and built for urban riding. The U-Series is quite small looking scooter but gets all the basic features from previous NIU scooters. In the front, it has the 360-degree LED headlamps with LED DRLs, digital instrument cluster, LED tail lamps, modes selectors. It is as well smart as it can display the battery status, usage static, real-time mileage, GPS, Clock, and Mobile connectivity. There’s one USB port on the front and pocket-sized compartment to place the smartphone. The NIU U-Series is smallest of its sibling and is only built for one rider but one can fit the aftermarket rear seat and backrest. Apart from that, they can also fit cargo holder on the front and the rear. As the scooter is small it does not have under seat luggage area which is covered by the battery pack. NIU U-Series runs on Bosch Motor and gets an 800-watt battery pack with a capacity of 21Ah. 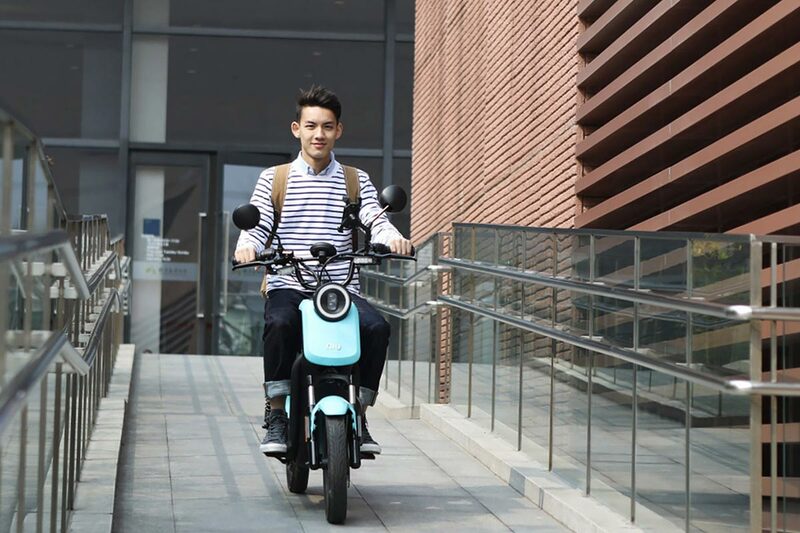 The scooter comes with Field Oriented Control (FOC) which provides a smooth acceleration rate of 10% input ~ 10% output. The battery provides a range of 40-50 Km once it is fully charged which can take up to 7hrs. Some new features that make the U-Series different from other scooter are the EBS with RBS, Cloud ECU, Six-Axis Motion Sensor, BMS, Keyless Ignition, NIU Motor Lock and cruise control which are first in its segment.